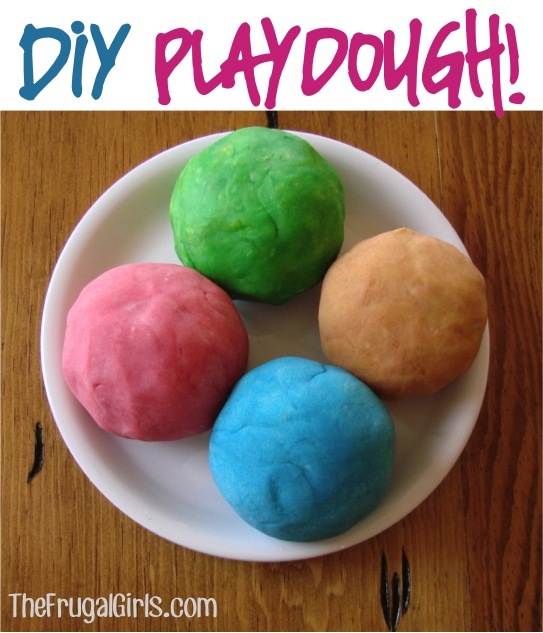 Help the kiddos get creative when you make this fun DIY Homemade Playdough Recipe! 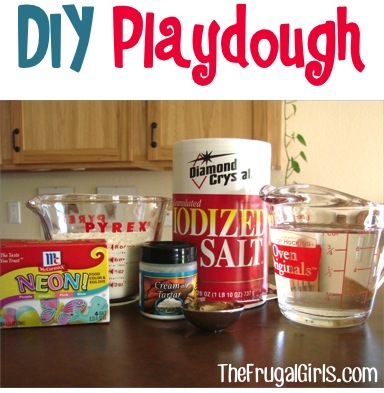 Have you ever tried making Homemade Playdough? It’s so simple, fun, and thrifty! 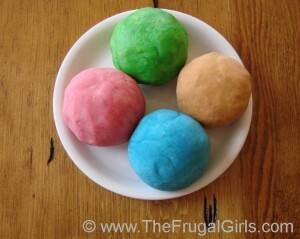 This DIY Homemade Playdough Recipe comes from my friend Kristee, and is an absolute cinch to make! 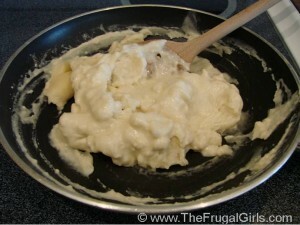 As soon as the mixture begins to thicken, add in food coloring. Continue to stir. Mixture will begin forming into a solid, and gathering on spoon. 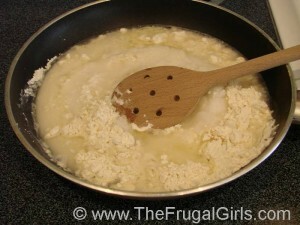 Remove from heat to cool, then remove from saucepan to cool on wax paper, plate, etc. Store in freezer ziploc bag. Then, you can even place the bag in a dark container, or in the fridge… to make it last even longer! If it starts to get dry after several weeks, try adding a few drops of water into play dough to extend it’s shelf life. Give it a try, and see what you think! These 15 fun Rainy Day Activities will keep the kiddos busy and Momma happy! Busy hands make happy kiddos! 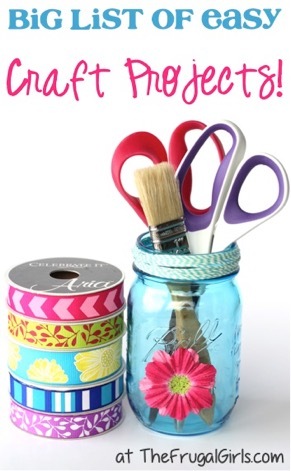 Keep your kid smiling all day with these Fun Crafts for Kids! This recipe worked perfectly, thanks a ton! I babysat today and she loved this!! so much fun and takes up lots of time. I used to make play dough for the kids’ preschool classes (the recipe I used was the same as yours, except 3-4 times as much!) If the kids are big enough not to eat the play dough, you can also mix in glitter — pink glitter dough was especially popular with the girls. I’ve made playdough for years and my students just love it. I’ve had my students (pre-k age) help measure, mix, etc. I like to make it in a non-stick electric skillet. I’ve used the kool-aid to color/scent the dough…even using two packets for extra punch! I will say, if you use the kool-aid, make sure it is the actual kool-aid not store-brand or off-brand…they just don’t have the same color saturation as the real thing does! I love making homemade playdough! I make mine in the microwave. I use a lot of color and spices or kool-aid packets. Fun party idea to make with the kids. I let each pick a color & flavor, chocolate, mint, etc. Then I let them play! thanks for all the tips,,great we are on our way!!!!!! My 3 year old thought this was so cool. 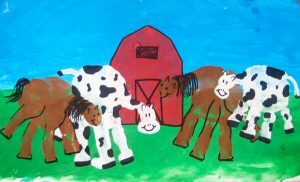 It’s not play dough, but when I used to babysit, I would buy instant vanilla pudding (or white chocolate) and some food coloring and let the kids finger paint on the kitchen table on placemats or on a plastic tablecloth. They could pain, and make pictures, lick their fingers (dessert) and then, I could throw it all in the sink and rinse it off and be done. I think I would be afraid to make mine smell good, my kids already have an issue with eating it! Nothing in it that will hurt a child. Probably will only eat it once or twice! My son took a bite I just made it n he actually threw up they will only eat it once!!! AWESOME!!! I’m sooo going to make this tomorrow for my little boy!! He will love it! Valentine’s week we make a chocolate scented playdough. The kids love and the room smells great!!!!! also smells great and looks great.